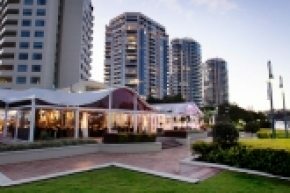 The Landing at Dockside is Brisbane's premier Wedding and Function centre overlooking the Brisbane River and Dockside Marina. The Landing at Dockside provides a range of services including: Wedding Receptions, Corporate Events, School Formals and Awards & Christmas Dinners. Bridgewater Apartments is just a short stroll from the Landing and offers Brides and Bridal parties.guests a great range of accommodation options. Bridal Party Accommodation we reccommend our 2 bedroom Apartments and Three Bedroom Apartments- these rooms command some of the best views of Brisbane River and Story Bridge. Discover one of Brisbane's best kept secrets on the heart of the city - Riverlifes unique location on the banks of the Brisbane River, offers four unique waterfront outdoor venues and a heritage listed upstairs function room. Access to Riverlife can be found via lower River Terrace, Kangaroo Point. Bridgewater Apartments offers a great range of accommodation for weddings, corporate functions and or s is located adjacent to the Story Bridge. 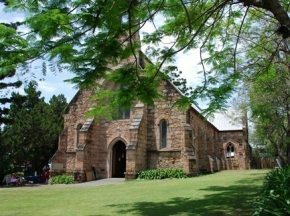 This traditional old church with rustic & warm interior was built in 1873 and is Situated on the picturesque cliffs of the Kangaroo Point . Kangaroo Point Uniting Church was built during the Edwardian era, in 1903, in the gothic style.